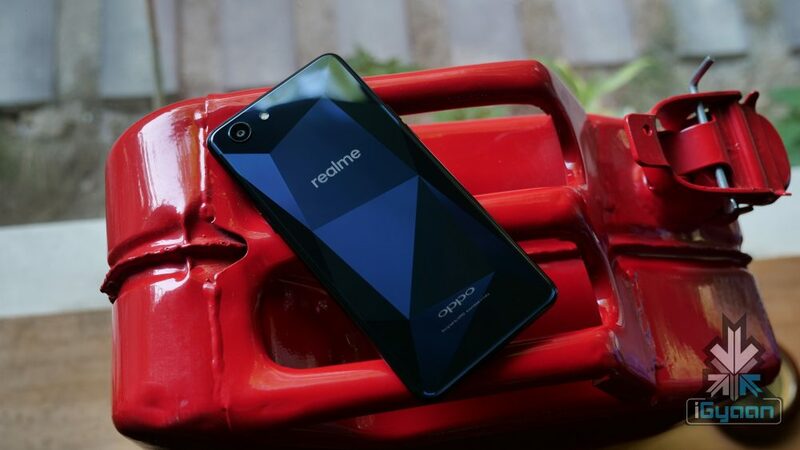 Realme is an OPPO sub-brand which will launch its first smartphone in India, the Realme 1 on May 15th. The device will be an Amazon-exclusive and its product page has a few details about the smartphone listed already. The smartphone has a starting price tag of Rs 8990 for the 3GB RAM variant. 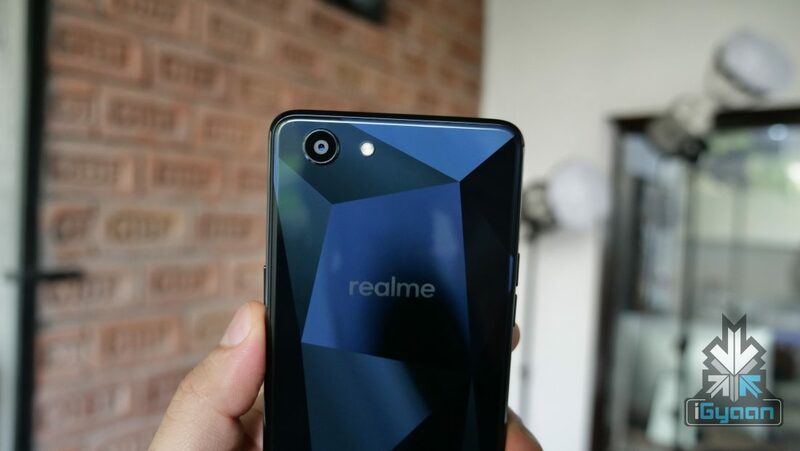 The most striking feature of the Realme 1 is its back panel. The smartphone has a “Diamond Black” back which looks quite impressive as it reflects light differently from a different angle. This is thanks to the diamond-like cuts on the metal. It is worth noting that the back has a plain texture and that the cuts are not physical. 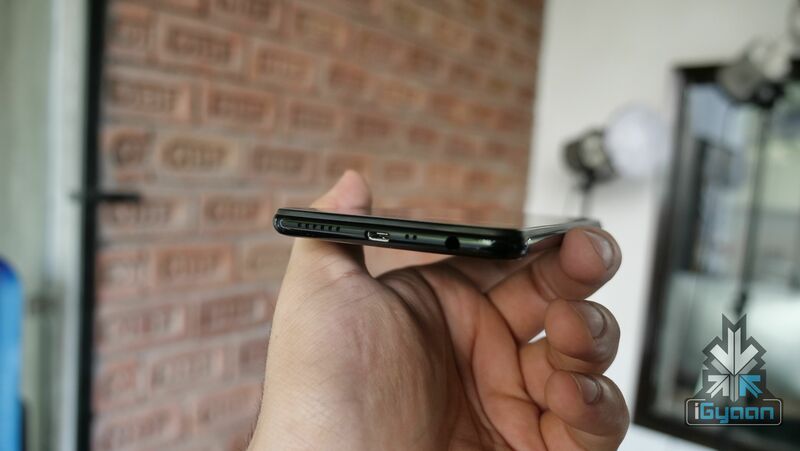 The smartphone definitely feels hefty and won’t be the most lightweight smartphone you pick up. To keep up with the competition, the Realme 1 has an 18:9 aspect ratio even though the bezels are quite visible and not the thinnest you’ll ever see. However, the smartphone does not have a fingerprint sensor, which is truly astonishing considering smartphones that cost Rs 7000 also have a fingerprint sensor these days. The Realme 1 has a 6 inch display with a 2160 x 1080 px resolution. The smartphone runs on the MediaTek MT6771 Helio P60 chipset coupled with 6GB RAM and 128GB storage. The onboard storage is expandable via a microSD card in case you run out of the 128Gb storage provided. Powering the smartphone is 3410 mAh battery which charges via a micro USB slot. 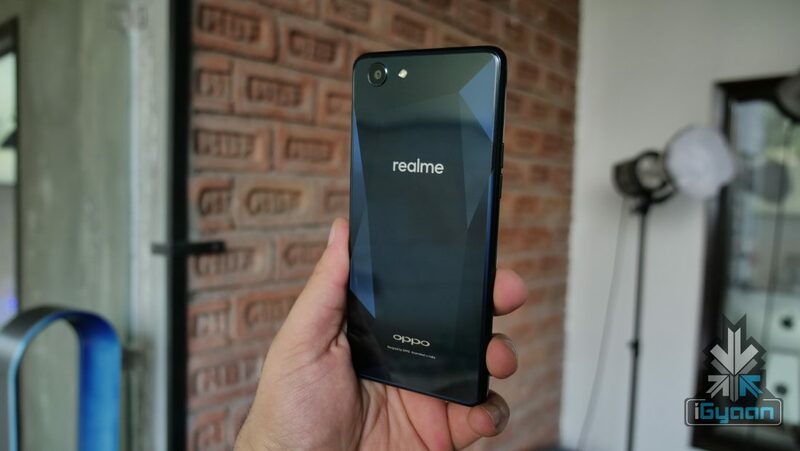 The OPPO Realme 1 looks apart from the competition but misses out on a few key features. 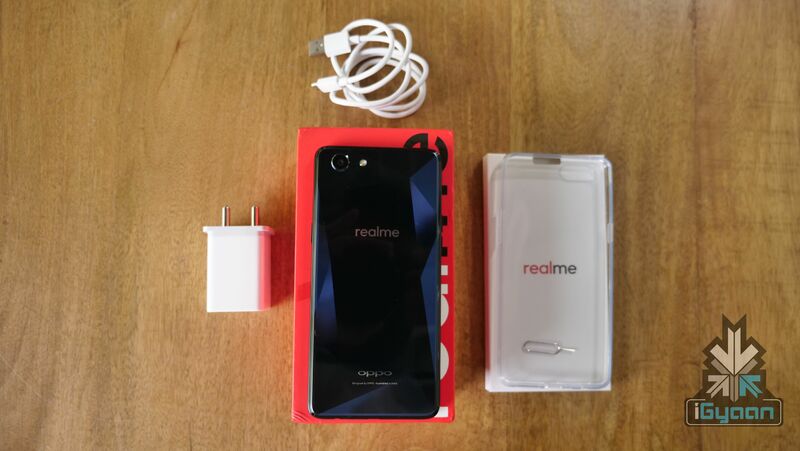 Stay tuned for a full review of the Realme 1!